Kitchen Remodeling is not something to take lightly. There are so many designs and styles of cabinets, counter-tops, and fixtures. The Kitchen Remodeling process can be very stressful and emotional. This process doesn’t have to be stressful at all. It is all about timing and planning. Taking time to figure out the perfect theme for your Kitchen. Finding the right Kitchen Remodeling Contractor. One who will help you with every step along the way. Fixtures and Appliances, & determining what Flooring is the perfect match. triangulation makes cooking and cleaning simple and easy. without trying to hurdle over other obsticles. What ever your your needs are. We will make your Dreams a Reality. 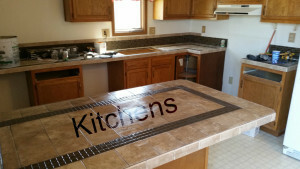 We also offer Kitchen Repairs. Kitchen Flooring, Kitchen Painting Services.